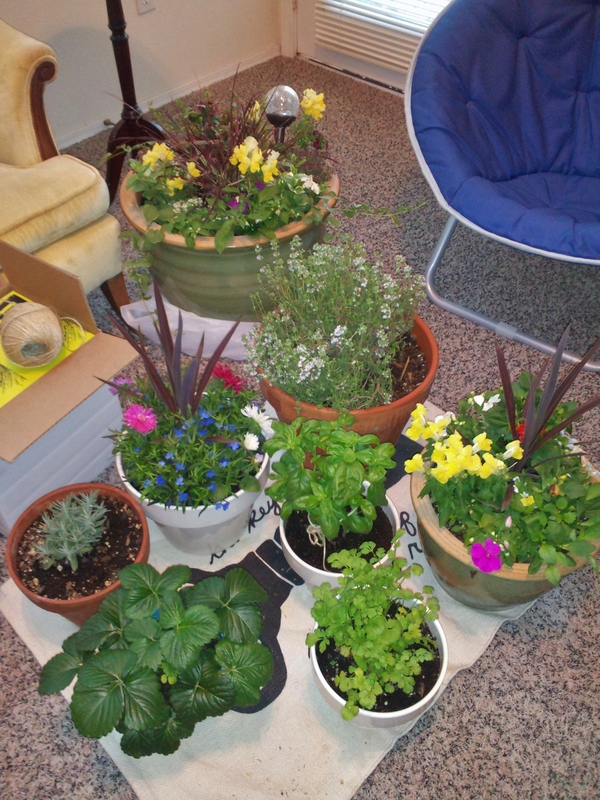 It’s finally that time of the year- patio gardening! (a.k.a. overnight lows no lower than 40F). Early-starters can find a surprisingly good selection at Walmart; late-goers resort to Crossroads nursery (significantly more pricey, and yet they carry little to no citrus/fruiting plants). Others- flowers, vines, grasses. Not nearly as exciting as the culinary items! Future planting? Hopefully an oregano and mint.